For Denmark’s Radio’s reception in DR City in Ørestaden, Art Andersen developed and produced a discreet, semi-transparent fabric ceiling system with large, continuous textile surfaces, with fine acoustic properties – and with easy access to the technical installations. The large panels can be easily handled and moved when required at changes of the setup and maintenance. 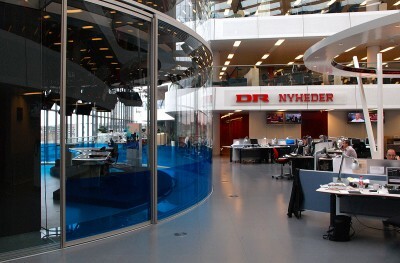 The heart of the newsroom in Segment 2 of DR City, is the cylinder shaped TV news studio, designed by Dissing + Weitling Architects. 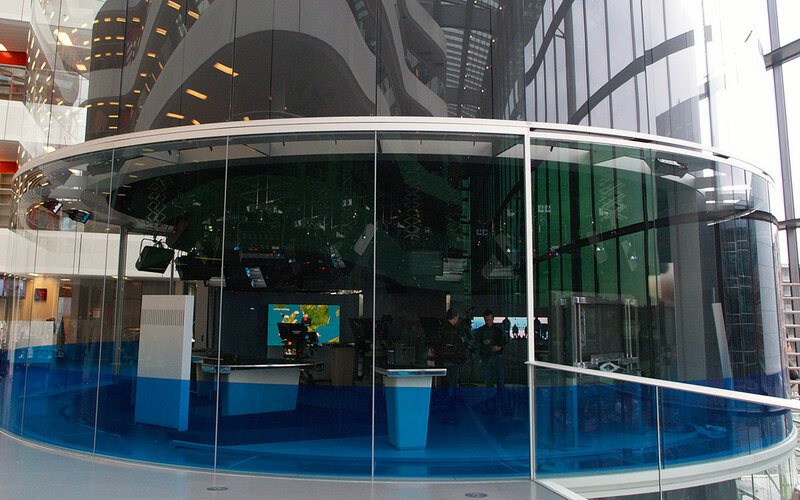 The façade of the studio is in curved glass, and Art Andersen has developed the 15-meter long glass sliding door which allows opening-up of the studio – towards the big newsroom. The electric sliding glass door contains a pneumatically operated sound damping, developed by Art Andersen for this project. 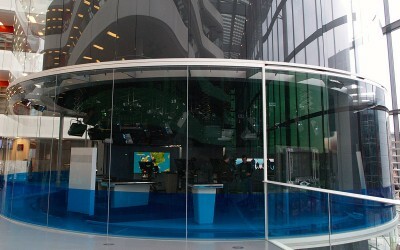 The TV studio’s walls follow the circular plan and consist of 113 textile frames that cover 366 sqm. of the studio wall surfaces in 3 levels. 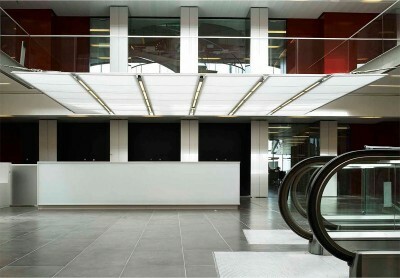 The textile frames are made of anodized aluminium and covered with fire retardant fabric. They were developed by Art Andersen and specially designed for this project – with its tough requirements for optimization of the acoustic conditions and the non-linear course of the walls.